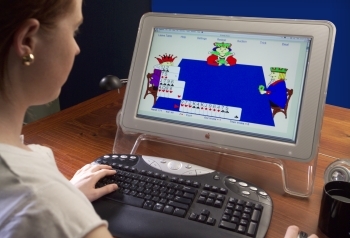 Play Bridge online against the computer or with interactive Bridge lessons. BridgeDoctor is a great way of learning how to play Bridge online and it's available 24/7. No software to install - from sign-up to playing in just 60 seconds! Bridgedoctor can even be played on your Smartphone or Tablet. 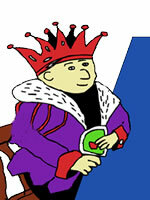 "Fantastic Contract Bridge website. I am learning a huge amount. I have forwarded site to all my Bridge friends." "This is the best value for entertainment that I have ever spent..the service for the price is absolutely excellent." "Your lessons have gone from great to superb! As a novice, I am able to hold my own with players who play much more often than I because I can learn and practice on BridgeDoctor. I also really appreciate the lack of ads and spam. You are truly dedicated to promoting bridge for the love of the game." Bridgedoctor has everything you need to learn how to play Bridge online. Like many Bridge websites we have text lessons on how to play Contract Bridge. These lessons are listed below, however what makes Bridgedoctor different from many other websites is that here you can also play Bridge against the computer. For beginners, playing against the computer is a great way to practice and Learn To Play Bridge. When you play Bridge against the computer there are no time constraints, you can take as much time as you like to play each hand. You can review the previous tricks and review all the cards played at the end of the game. When you gain more confidence you can join our competition ladder and rank yourself against other bridge players. There are still no time constraints when playing on our ladder as you are still playing against the computer. There is no need to download and install any software, our game runs in your web browser.